Work on stage two of Wagga’s levee bank upgrade will begin in the New Year and I was delighted to be part of this morning’s announcement, alongside Deputy Prime Minister Michael McCormack, Wagga Mayor Greg Conkey and NSW Upper House MLC Wes Fang. It is the next multi-million dollar phase of the $23M levee development, with sections between Gobbagombalin Bridge to Hammond Avenue improved across two years. I remember what it was like to be evacuated in the 2012 floods and it was, let me just say, it was memorable. According to the DA, 2007 models showed flooding likelihood to be one in 60, but within two years it will be boosted to one in 100 years. 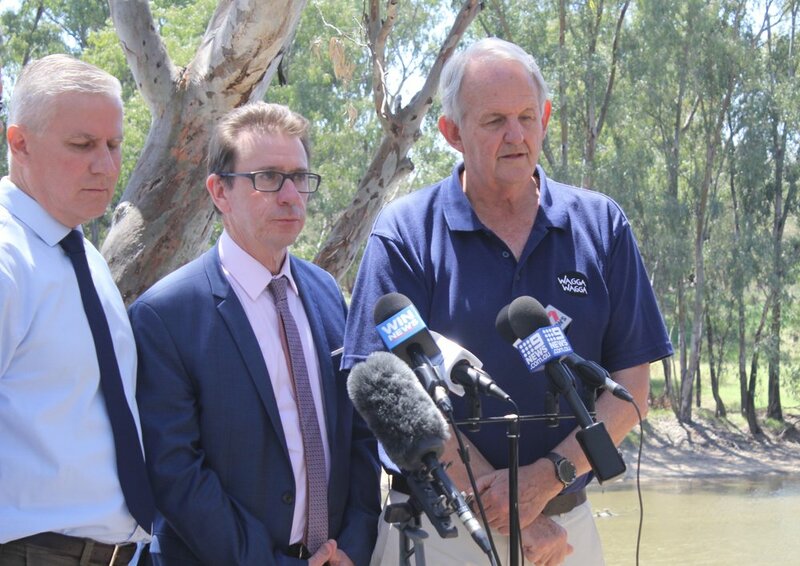 I want to congratulate council and the federal and state governments on this project, improving the levee bank and by extension, the safety of Wagga. I acknowledge the concerns of people North Wagga in relation to their own flood risk and I look forward to the results of council’s investigation into possibly reducing that. For now, I just want to say congratulations on a very important initiative.